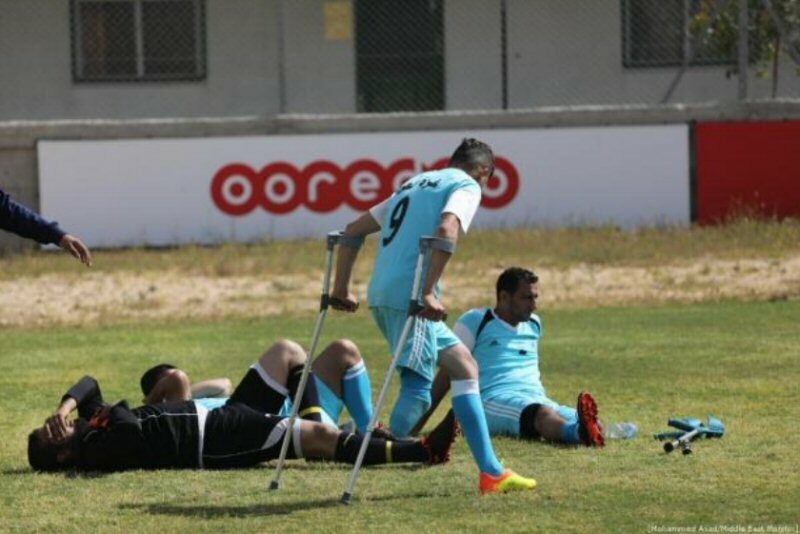 Palestinian amputees, this past weekend, held the first football championship for those who have lost a limb, while living in the Gaza Strip. Baker, who lost his right leg in a workplace accident, in 2004, and uses an artificial limb, was invited by the Red Cross to prepare for the tournament. Eighty players are taking part in the tournament. 20 of them lost their limbs while participating in the Great March of Return, along the Gaza-Israel fence, while others were injured during previous wars and incidents. Suhair Zaqout, spokesperson for the ICRC in Gaza, said that her organization is sponsoring people with disabilities caused by military conflicts, and is attempting to reintegrate them into society via psychological and physical rehabilitation. According to official statistics, the Gaza Strip has seen over 25,000 injured people over the past ten years, hundreds of whom suffer from amputations.